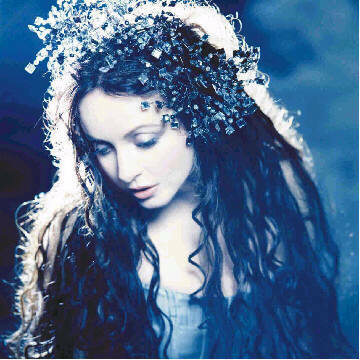 See the gallery for quotes by Sarah Brightman. You can to use those 7 images of quotes as a desktop wallpapers. Philosophy changes day by day. We are all made up of stars and all of us are billions of years old - that's what I believe, at least. You do have to be fairly selfish when you have a gift. You cannot afford to let too many outside things get in the way. Apparently, everyone is most scared of the psychological tests. I didn't know how I'd fare. What I've found out is I may be creative and imaginative, but I'm also extremely together. As I'm sure you may know, I'm planning to become a spaceflight participant and have been recently approved to begin my spaceflight training by the Russian space federation having passed the necessary medical and physical tests. Everybody goes up and does something in the private sector that they feel that they can do, and obviously I'm a musician and feel that one of my experiments - because I think there are many that you can do and that you're helped with the ideas of what you could do - yes, would be to see how I would sing in zero gravity. Finally my dream came true in that there was a possibility that I could travel to the International Space Station. I've gone through the medicals and the training and now I'm officially, by the Russian Space Federation, a cosmonaut in training. I can never say that I will never return to musical theatre. There may be a part in the future that I really want to do. I love plays as well. I am very open to ideas. I hope to do many things in the future. I don't force myself to exercise; I find going to gyms really boring. I find it easier to go for a fast walk or a jog in Central Park. I wear sensible shoes because my ballet dancing left me with a bunion on one foot after all the pointe exercises. I like, 'I Believe In Father Christmas' - that is one of my favorites it is a lovely composition; 'Colder Than Winter' as well. There are so many beautiful songs. I never thought that I would be creating my own 'cross-over' genre. What I did was very real and organic. I have worked in so many different styles so it all just came together. I was born in 1960, and space theory, especially in the last part of that time and going into the '70s, space was very relevant at that time. It was on television - all the experiments, the moon landings, everything like that. I'm not flying to the moon. But when I've talked to people who have been up, you can tell it's really special because without fail a very special light comes into their eyes and they appear to be very fulfilled in some way and very calm. Mozart is always a bit of a challenge - you know, even though it is often given to very young singers, it is actually the most complicated to sing in many instances. Performing was something I could cling to. It was the only thing I had some control over and that's why I did it. If I hadn't, I'm not sure which way I'd have gone. The opportunity to orbit the Earth, witnessing multiple sunrises and sunsets every day, looking back to our small blue life-sustaining jewel from a distance, gives me the greatest sense of anticipation. There is a reason that both have had the longevity in their careers that they have had. They have each done very different things throughout their careers and lived really interesting lives. There is a reason why they are up there still. After all, there is only one Barbra Streisand and one Liza Minnelli. In the past, I always used to be looking for answers. Today, I know there are only questions. So I just live. I love a challenge and the last four years it has all come to fruition and it has been wonderful. Anything can happen to anyone at any time and you shouldn't just live through the days, or you lose them. You should do what you can to enjoy every moment. I am not quite sure where home is right now. I do have places in London and Milan, and a house in Spain. I guess I would say home is where my mother is, and she lives in Spain. A journey into space is the greatest adventure I can imagine. Being varied is something I do instinctively and naturally. Much more quotes by Sarah Brightman below the page. Being varied is something I do instinctively and naturally. I feel a tremendous sense of accomplishment. I actually want to go up into space. I am an interpreter of music rather than a composer of it. I can't be a wife. I'm not that sort of person. Wives have to compromise all the time. I do quite a lot of flying in my concerts. I feel a tremendous sense of accomplishment. Everything is in tune: the voice, the type of music, who I am and who people think I am. I have a love-hate relationship with performing. I just wanted a change. My hair started hurting my back, so I went to my hairdresser and said 'Take it off.' And I'm delighted with the results. I love the intimacy of making movies. The focus is deeper and much more intense than musical theatre. I think I've probably re-invented myself three or four times now, if that's what one calls it. I think of myself not just as a dreamer, but as a dream chaser. I think that it is always hard to find two voices that fit together well. I'm an interpreter of music. I've always been interested in space and the idea of exploration in that area since I was a child growing up through the '60s. I've always been involved with all aspects of my careers. Being behind the camera seems as natural as in front. I've wanted to go to space, really, since I was a little girl. It's in everyone's best interest to help close the gender gap in the sciences. Life is too complex to compress into soundbites. Every situation is different. Teacher unions are an interest group that acts in defense of their own interests, which means the union bosses' interests, not the members. I think good teachers are underpaid. I think we spend too much on K-12 education a.k.a. teachers' salaries. It's the only industry where you never see any productivity increases. A nation is an organic thing. Hey, nothing grows to the sky. There will be a successor movement. Right now it's nascent. I think Bush has capitulated on affirmative action and government spending. Apart from that, he's OK, I guess. About the same as Howard Dean. I think Bush's immigration proposal is treason and he should be impeached. I think the Iraq War is not particularly tailored to American interests. I've been a financial journalist for 30 years. Immigration enthusiasts are so hysterical. Textbook publishers don't even bother to advertise at their conventions. The problem with K-12 education is socialism and the solution is capitalism. The real boneheads are the libertarians. Why can't teachers end up owning schools, the way waiters can open their own restaurants? I regard many of the neoconservatives as personal friends, but that's not stopped them from behaving with extraordinary viciousness towards those of us who raised the immigration issue. I suppose the White House thinks it's doing what Big Business wants, but it will lead to vastly increased taxes, because all these guest workers are to be allowed to bring their children. I think the Republicans are subverted by the fact that so many of their leaders send their kids to private schools, they don't really have the stomach for the fight. If you're going to have a public subsidy to education, vouchers are clearly a better way of delivering it. They should result in some loosening up and privatization of the government school system. There's no particular relationship between spending and educational results. Most education spending is actually on salaries, and that's allocated according to political muscle. This type of mass influx is simply too much to handle. What we've had since the disaster of the 1965 Immigration Act will take 100 years or more to absorb.